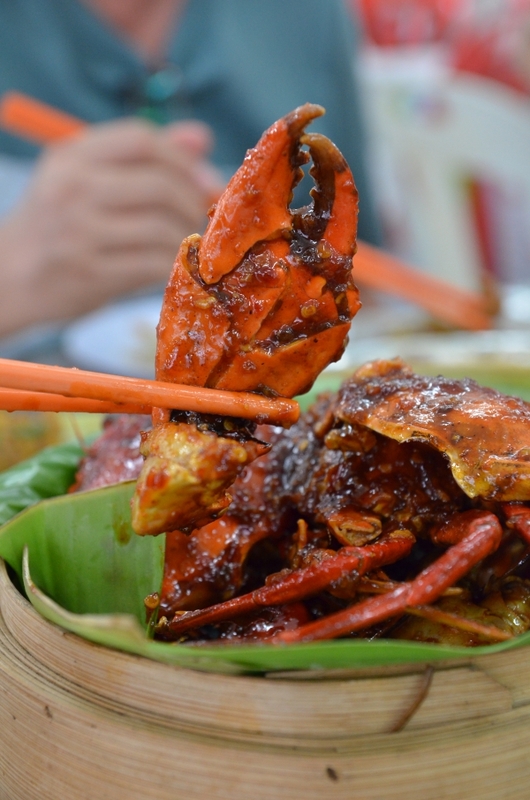 Seremban Grilled Crabs (Foo Yoong Siu Hai) now has invaded Ipoh?! Apparently yes. The chef (or maybe a group of chefs) that started Crab House Restaurant in Ipoh Garden East recently was previously from Hee Lai Ton Restaurant in Ipoh. Fairly new to the scene, Crab House has already unleashed its magic; creating ripples and waves amongst the crab lovers around town. Kick Start the New Year with A Burp?! 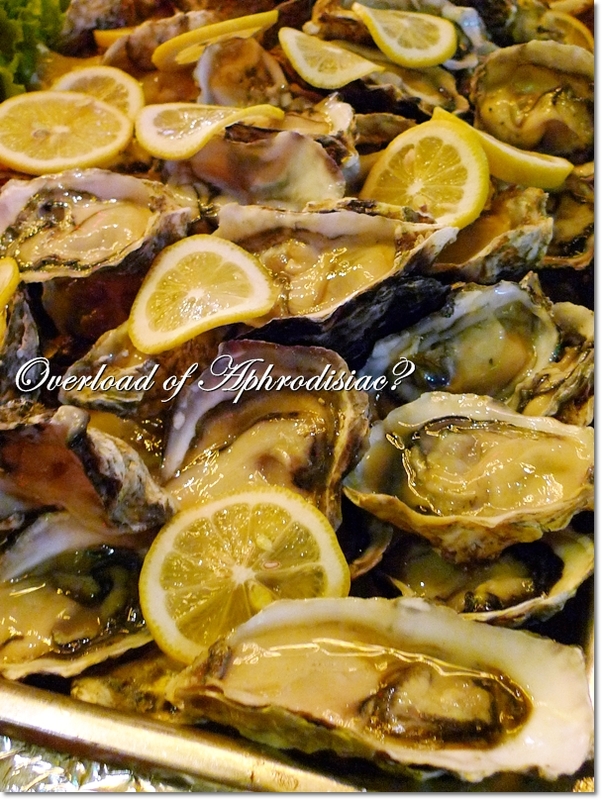 Fresh oysters on the Rocks – Go crazy on these and guaranteed satisfaction. In every sense of the word. From the look of it, this poor baby ain’t gonna miss his Mama too long …..
Holiday Villa Hotel & Resort Suites Subang (that’s the full name, btw) recently held a tasting session for the media; launching their inaugural New Year’s EveCarnival – BBQ Poolside Buffet. As far as Christmas and New Year buffets go, every year we’ll see tough competition amongst the F&B players and no doubt the thousand-and-one hotels in the Klang Valley. Routinely, to set each other apart from the competition, the hotel would go to the extent of organizing a feast surrounding a particular theme. A gimmick or a timeless business strategy, it all depends on the execution of the tactics. This new ‘chu char station’ at Ting Feng Restaurant is named Sun Wah Hing, and started business back in April of 2010. 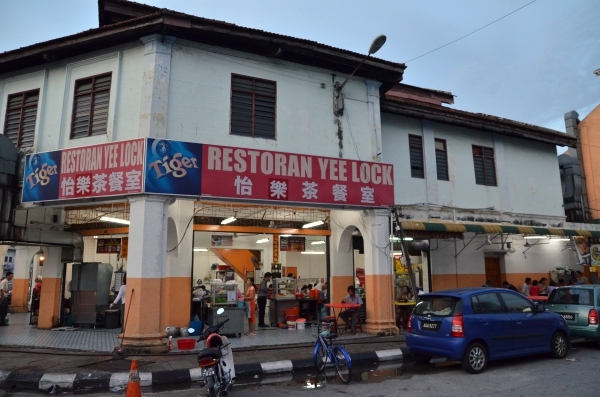 Ting Feng Restaurant is located at a corner lot in Medan Ipoh Baru; the area behind of Jusco Kinta City. 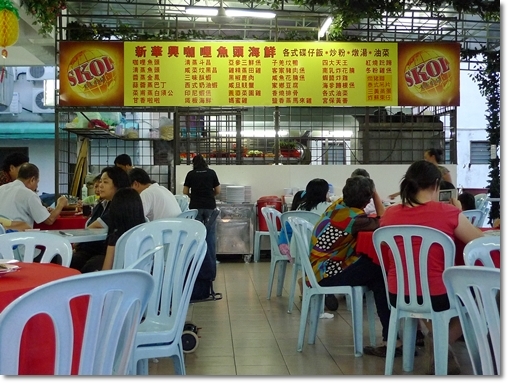 Specifically, this restaurant is directly behind of K10 Claypot Chicken Rice which I wrote about back in 2008 when I first started blogging. 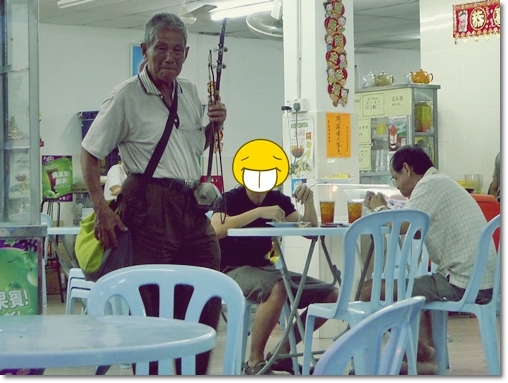 The 80 years old uncle (he claimed) that prides on his defiant soul, adamantly withstanding ignorance and curses, selling packets of tissue and playing on his er-hu, trying to make ends meet. We visited Ting Feng once, sometime in 2009. Before I had the chance to write about the dinner (which was okay), the ‘chu char‘ stall shifted (or ceased operations?). Then we never returned again …. until this very visit. The yellow banner proudly proclaiming THREE crabs for RM19.80 was like a magnet; sucking us in into the swirl of possible lip-smacking, crabby experience. And a Tilapia Fish for only RM13? Sounds too good to be true. 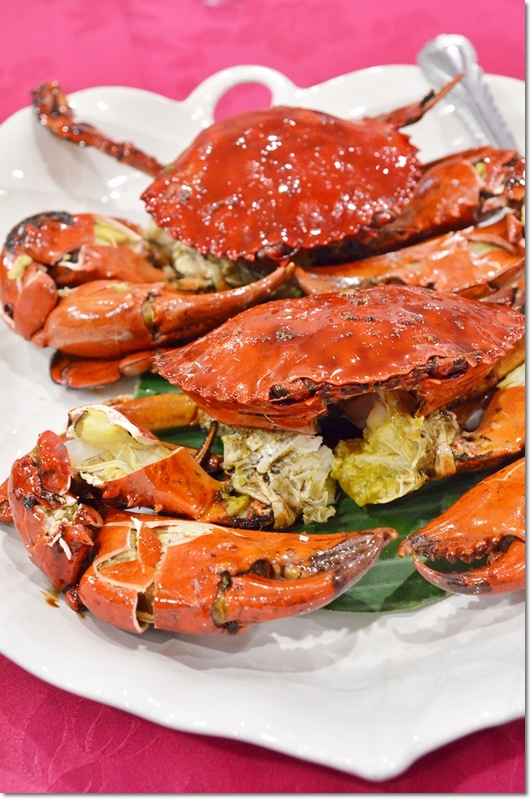 A New Year, Another 365 Days of Gluttony – How ‘Bout Some Crabs? Blogging LIVE from KL …. where the excitement never ends. Escaped unscathed from potentially showered with artificial strings, and bombarded with those dastardly white, snowy foam. Fresh from the (harrowing) Xmas Gurney Drive’s experience, anyone? LOL. Least we had some FRU’s and ‘Mata’ to control the frenzy y’day night …. The simple, nameless stall … Or was there a name? 1st post for the new year …. a seafood meal I had few weeks ago, in Pandan Indah, KL. 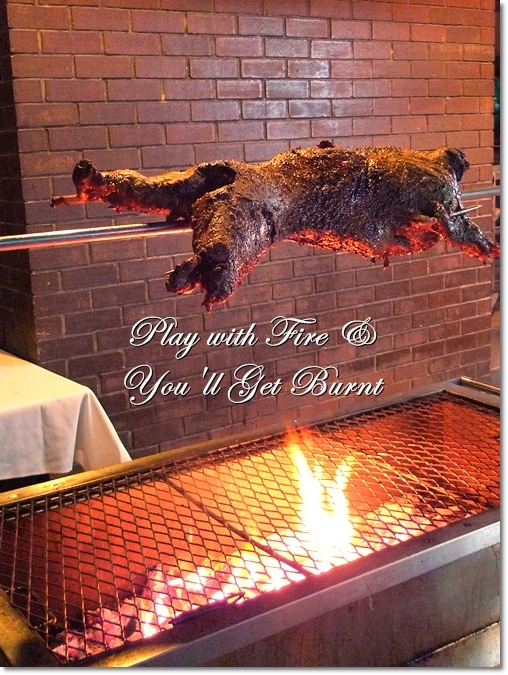 Been here before, and the place can get a little …. rowdy at times. The wait can be relentless, from 30mins to a full hour if the place is packed. The stall is a stone’s throw away from Pandan Indah’s pasar malam area, if you’re one who know the roads by name. Opens only at night, the place is rather popular with the residents around the area. And there’s a rather tasty (I was told) fish head noodles stall within the vicinity. They’ve small crabs, medium crabs and LARGE crabs to choose from. The large variety, of Sri Lankan blood, of course comes with a rather hefty price tag. Roughly RM70/kg, if I’m not mistaken. Aside from the crabs, we had steamed lala (Clams) as well, and chose the clear broth, or a healthier option to balance out the flavoursome crabs. Not one of the best, but passable. Stick to the crabs, I’ll advise you. Wash it all down with some fresh coconut juice. OK, not as fresh as those from the beachside, picked by monkeys and all. But still comes in its original ‘shell’. Location : ??? Should be somewhere on Jalan Pandan Indah 6/2. Or Jalan Pandan Indah 6/1. Refer to the shabbily-pointed map HERE. Coming from town direction, towards Ampang, using Jalan Pandan Indah, you’ll reach a traffic lights (T-junction) with CIMB Bank on your opposite right. Go straight and turn left at the 1st or 2nd turning. Geez …. I’m getting myself and everyone lost with my directions! The stalls should be on your left. A parting shot. Happy New Year to all Floggers, Foodies, Bloggers, Facebookers, and erm …. Connected Ones !!! !